stylos: The Vision (2.8.19): Whom seek ye? 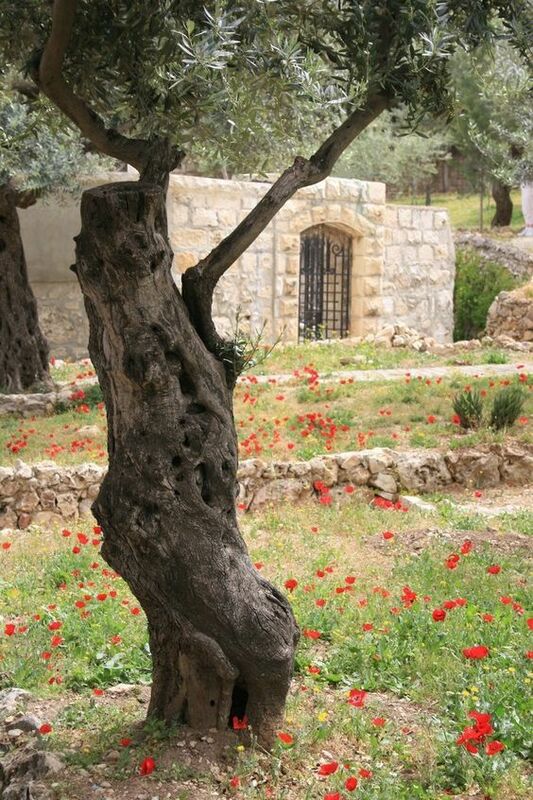 Image: Contemporary scene from the Garden of Gethsemane, Jerusalem. Note: Devotion taken from last Sunday's sermon on John 18:1-14. Jesus therefore, knowing all things that should come upon him, went forth, and said unto them, Whom seek ye? (John 18:4). John records that Jesus asked the mob who came to lay hands upon him: “Whom seek ye?” This is a question pregnant with meaning. Christ is always asking men this question, Whom seek ye? And he is especially asking it of those who misunderstand him, threaten him, hate him, deny him, and want to do away with him once for all. They answered in v. 5: “Jesus of Nazareth.” This speaks to his identity as a man. Notice they do not say, “We seek the Lord Jesus Christ.” They just want the man. And what does Jesus say in response? “I am he.” Ego eimi. This echoes the seven “I am” sayings of John (cf. 6:35; 8:12; 10:9, 11; 11:25; 14:6; 15:1) and the Lord’s revelation of himself from the burning bush as the great “I AM” in Exodus 3:14. Notice also the description of Judas in v. 5b: “And Judas also, which betrayed him, stood with them.” This is a stark picture of the unregenerate man. He stands with those who see Jesus only as an ordinary man, and who want to remove him from sight and put him away. Despite this, John reveals a fascinating detail in v. 6. The moment Christ declared himself to be “I am” those who came to arrest him involuntarily “went backward and fell to the ground.” Even they recognized his true identity as King of Kings and Lord of Lords. Their actions are an anticipation of what will happen at the end of the ages, described by Paul in the Christ Hymn (see Phil 2:9-11), when every knee will bow and every tongue confess that Jesus Christ is Lord. Christ is still asking men, Whom seek ye? Will we gladly bend the knee in faith before him now, or only with fear and dread at the end of the ages?